First de Bajes activity of this semester! This week, it’s Pub Quiz night. Make sure to sign up via the following form before the start of the event. You can also submit your own categories! 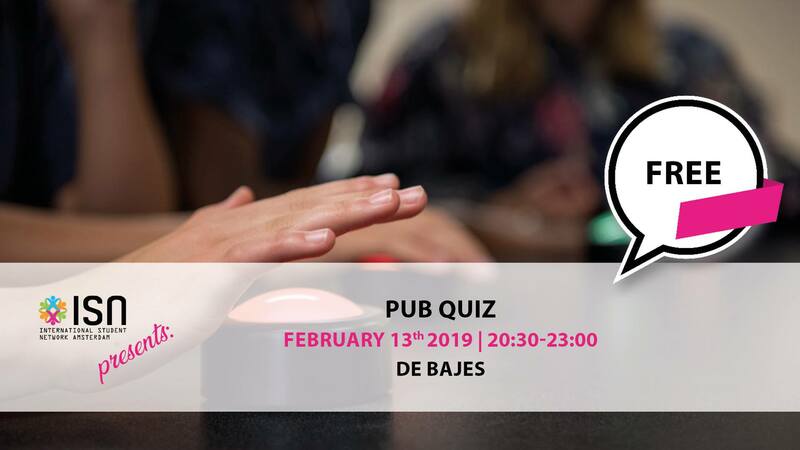 After this activity – a weekly borrel at Coco’s Outback! Looking forward to seeing you all!